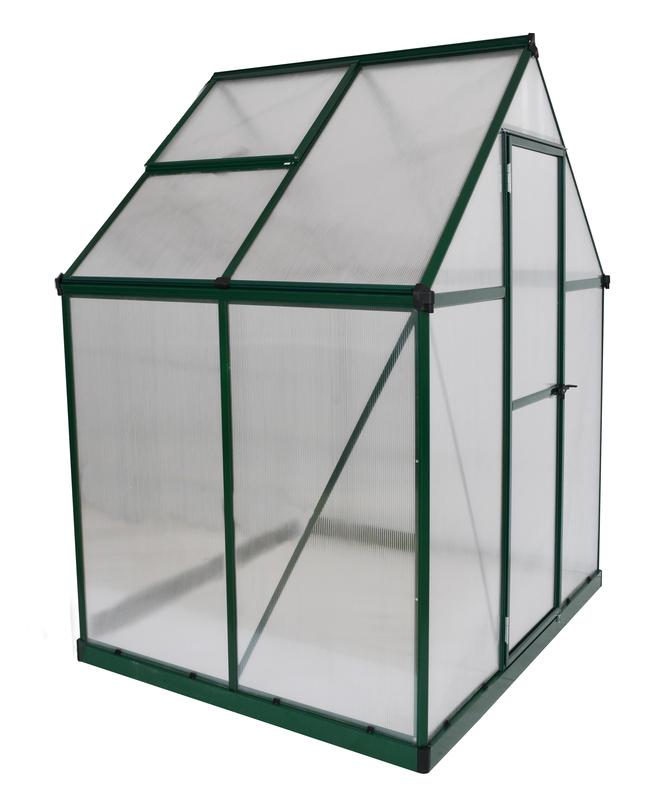 The Mythos 6’ x 4’ Green series hobby greenhouse is just the right size to get your green dreams up and growing. 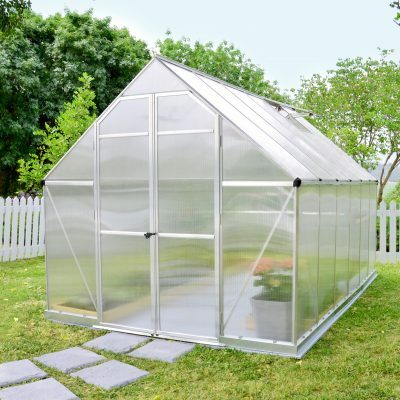 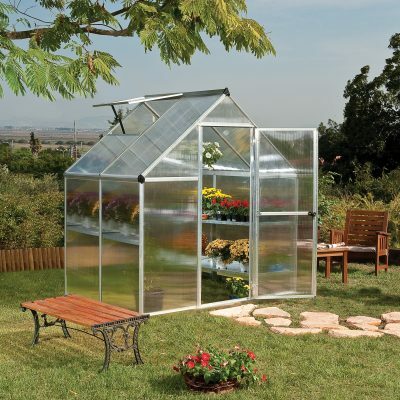 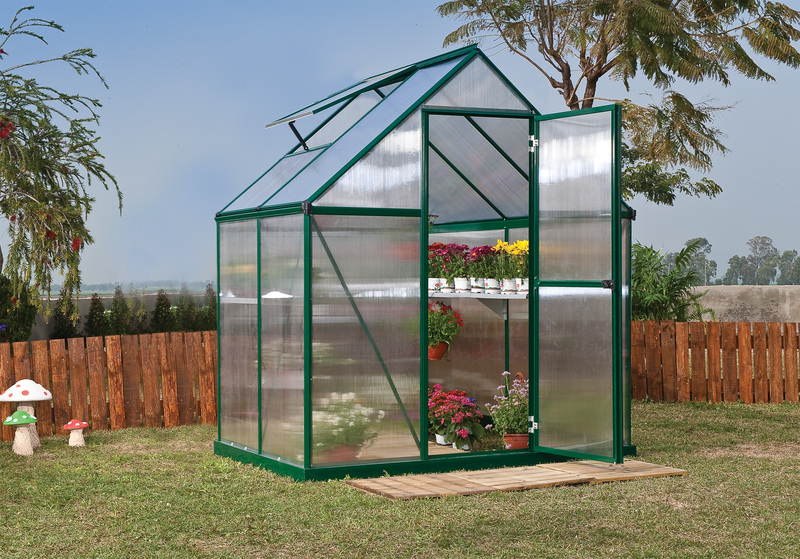 The Mythos 6’ x 4’ Green series hobby greenhouse is sure to catch your eye! 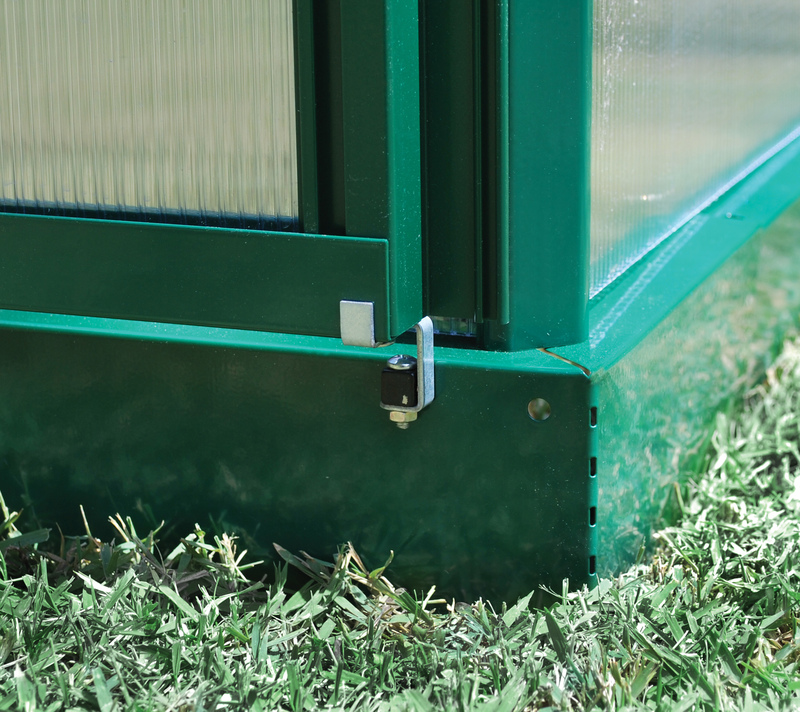 Plus, we’ve taken the same features you love about the Mythos Silver like the clear, twin-wall polycarbonate panels and a downspout to collect rainwater, and added a splash of color. 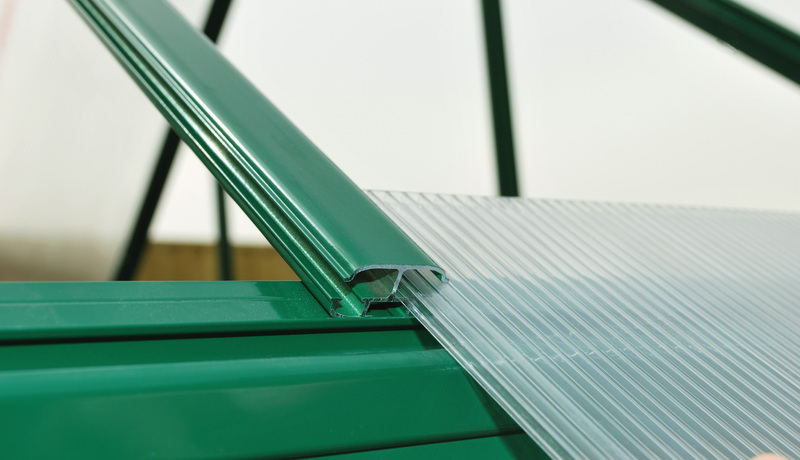 The U.V. 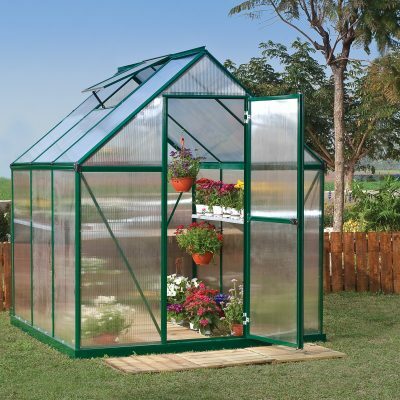 stabilized green powder-coating creates a long-lasting finish that makes this house blend right into your garden setting. 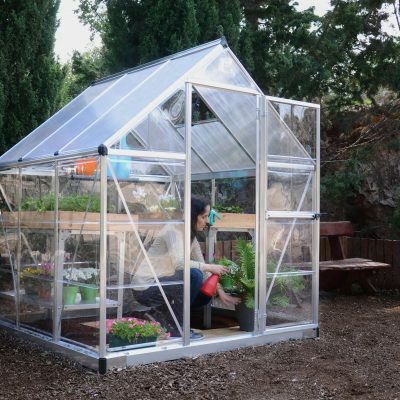 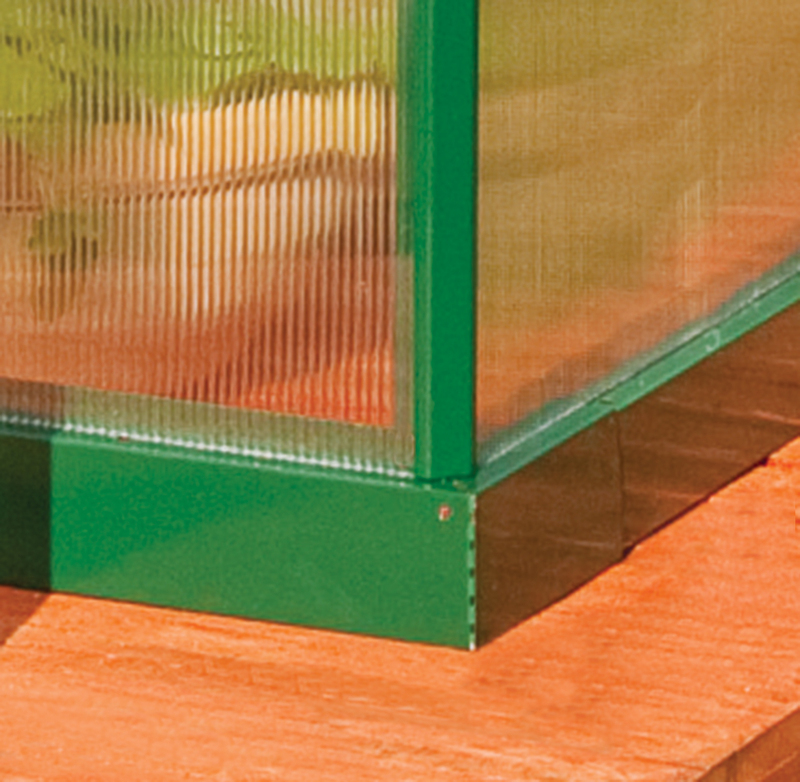 The clear, twin-wall polycarbonate panels on the Mythos greenhouse have twice the heat retention of single layer panels so it’s great for overwintering those pampered patio pots. 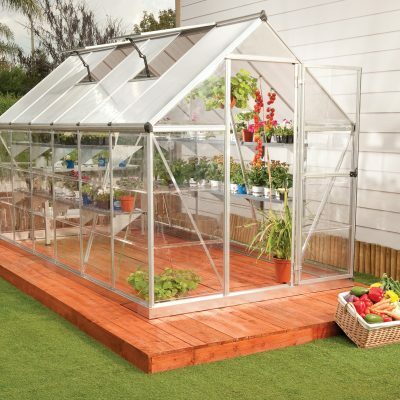 Also, you can save money by starting your plants early from seed and extend your season by protecting plants from fall frosts. 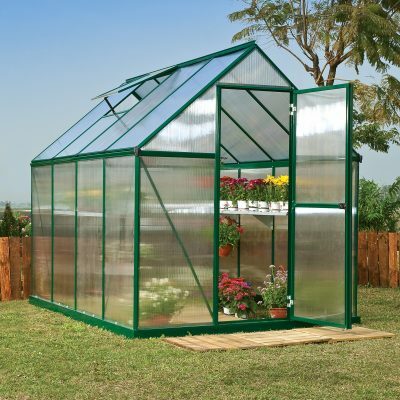 Get growing today and let the Mythos help you bring your green dreams to life.